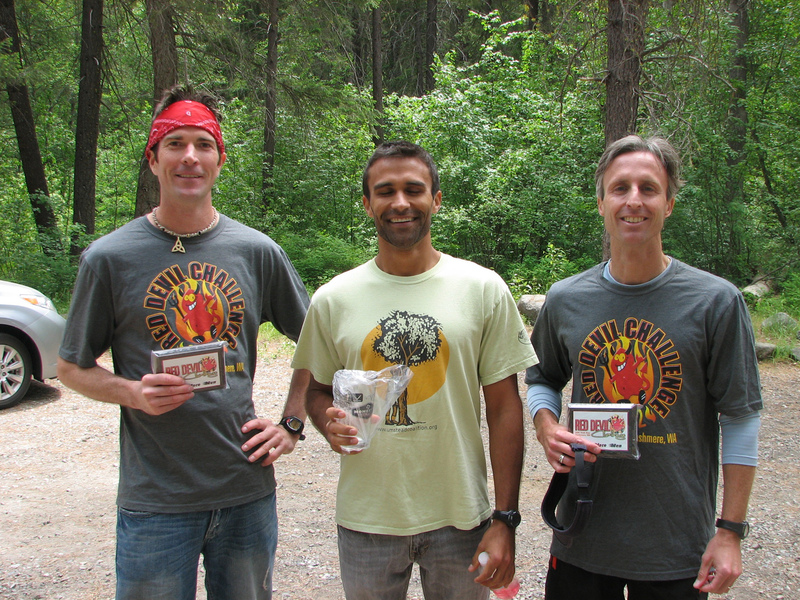 Caleb Ambrose held off fellow Wenatchee runner Marcell McArthur to capture the men’s title in the Red Devil Challenge 25-kilometer trail run Sunday near Cashmere. 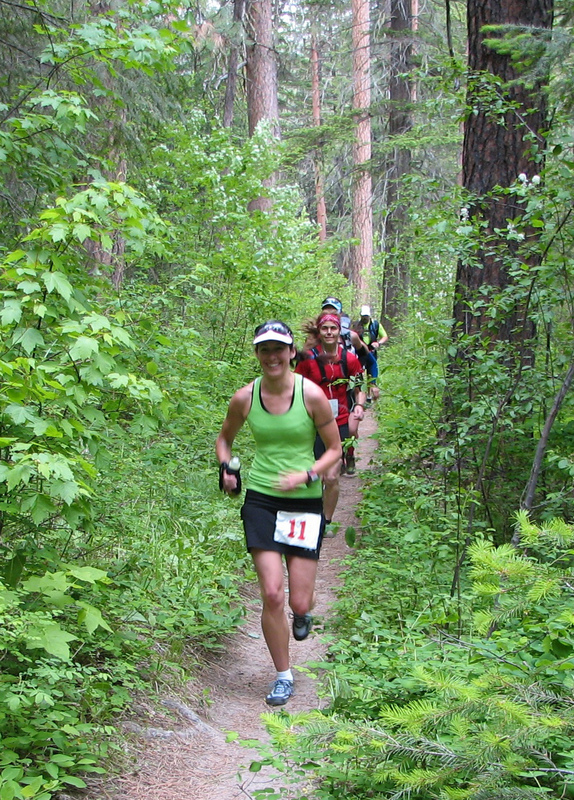 Red Devil Challenge runners head up the trail early in Sunday's 25-kilometer race in the Cascades south of Cashmere. Ambrose was clocked in 2:01:35 over the 15.5-mile mountainous course, defeating McArthur (2:03.36), last year’s champion, by about two minutes. Wenatchee’s Chad McBride finished third in 2:06.19. On the women’s side, Leavenworth’s Marlene Farrell defended her crown, claiming first place with a time of 2:18.52. She was followed by Wenatchee’s Selena Danko in 2:21.19 and Cashmere’s Valerie Kato in 2:49.28. 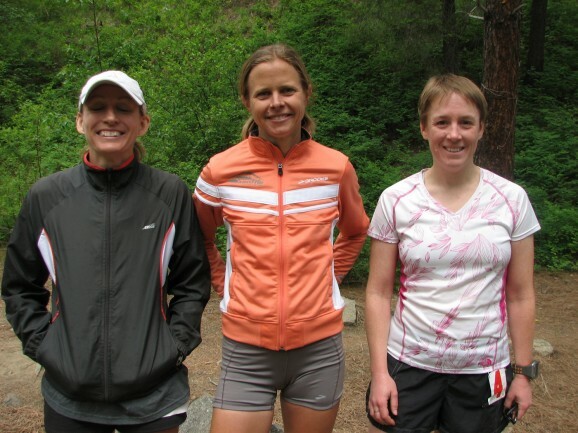 It was the last tune-up for Farrell before she heads to the U.S. Half-Marathon Championships in Duluth, Minn., later this month. Under partly cloudy skies and temperatures in the 50s and low 60s, runners christened a new and longer course on the single-track Red Devil and Devil’s Gulch trails in the Cascades south of Cashmere. 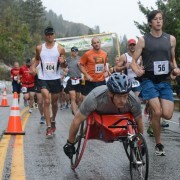 Last year, the event was 20 kilometers long (12.4 miles). The race features about 4,000 feet in elevation gain over the duration. Most of that climbing is now done in the first 6 miles. A year ago it occurred in the latter part of the event. “I loved having the big hill first,” Danko said. Red Devil top three female finishers: Marlene Farrell of Leavenworth, first, center in photo; Selena Danko of Wenatchee, second, left; Valerie Kato of Cashmere, third, right. McArthur led early on but Ambrose passed him about 20 minutes into their run. The two last had contact at the 5-mile aid station when Ambrose spotted McArthur approaching as he was ready to depart. McArthur said he knew it would be difficult catching Ambrose after he developed that early lead. Red Devil top male finishers: Caleb Ambrose of Wenatchee, first, center in photo; Marcell McArthur of Wenatchee, second, left; Chad McBride of Wenatchee, third, right.